Groupon has come up with Extra 30% off on product deals. 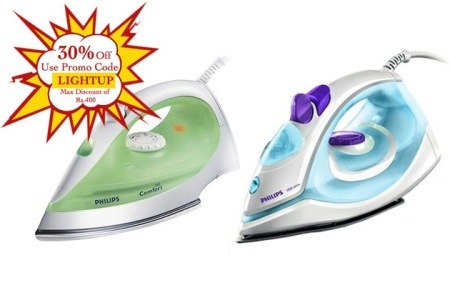 There are lot of interesting products available in flat 30% discount like Philips Steam Iron, Milton Thermosteel Flask, GoFit Fitness Tracker, Flying Sensor Ball & More. How to avail this Groupon Extra 30% Offer? 2. Select products and add to your cart. 3. Apply coupon code 'LIGHTUP' before making payment to get Flat 30% off. 4. If you use PayUmoney to make payment, you can get extra 1% off. 1. Groupon Extra 30% discount is available only for selected product deals. 2. Maximum discount is Rs.400. 3. This groupon coupon code is a limited time coupon. So, grab quickly.